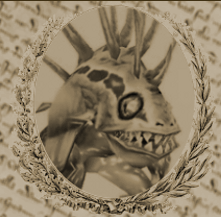 It’s a new year and for our first episode of 2011 we welcome Murloc Parliament to the mic. Zelmaru and Noble (a.k.a ArcaneTinkerTank) join us for lots of Warcraft goodness. We talk about balancing family life and WoW and even a pretty funny story or two. For the rest of the show we talk about an important WordPress self-hosted update, Afrasiabi on G4tv and we have not 1, not 2 but 3(!) Shared Topics from Blog Azeroth. Rounding up the podcast is an extra long Addon Junkie segment where Rilandune starts his series about building a custom UI. Don’t miss it! Curse.com is a World of Warcraft (among other games) addon and UI site where one can go to find nearly every addon and UI compilation available in WoW. There is one other major player in that market, perhaps I shall write a spotlight on that site soon as well. Curse has a feature, the Curse Client, that is both wonderful and slightly controversial at the same time. I myself resisted using the client for some time because of things I was told about other similar tools like WoW Matrix, and that the addon authors themselves did not like the client and its function. Since then I have come to find that the addon authors are indifferent to it’s uses and that the security issues that had been a concern with other tools seems to not be present with the Curse client. I run my PC on ultra-paranoia mode. I am one of those individuals that believes someone is always watching – because lets face it, someone always is! I run daily virus scans, malware scans, registry scans, I wipe all cookies and cache data, I defrag at least thrice weekly. I stop short of running a TOR system, but only because I haven’t quite figured out how to yet, but thats coming. All this is to say that I have never once found the Curse client to be in any way insecure, so in my opinion that is an unfounded claim. What I do know is that my extreme addon addiction would not be nearly as manageable without the help of Curse.com and the Curse Client – which allows for one to have an alert when any of their addons have updates ready, and with a few simple clicks from a centralized desktop tool, update those addons without having to access the browser or drill down through a file structure with an unzip tool. Also, the Curse Client allows for an almost shopping cart experience in searching for new addons, popular addons, etc. If you have been one of those folks that have felt addons are unneccessary, please join us on the dark side and customize that UI of yours. Or, if you are a user of the other major player in the addon site market, I encourage you to check out Curse. Having some competition in the marketplace is always a good thing, and seeing a fresh site with a different layout is always refreshing as well. It’s a new year and we’re back with more, more, more! This week we welcome Zelmaru and ArcaneTinkerTank from Murloc Parliament to the show! If you have any questions for them, please send them to info@twistednether.net ! When is it? : This live show is scheduled for Saturday, January 1st at 8pm PT (11pm ET). Not sure what time that is for you? Use this handy-dandy time converter!